Cate liked Santa’s beard when she sat on his lap this morning. I figured with her fascination with feeling different textures and grabbing things that his beard would be a hit. 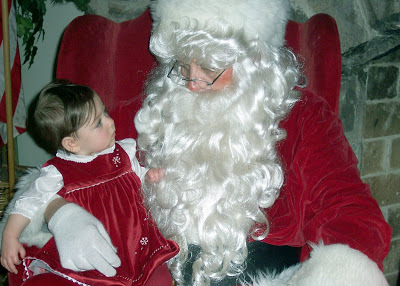 She was kind of serious, just taking in her moment with Santa. she’s taking it all in, huh?